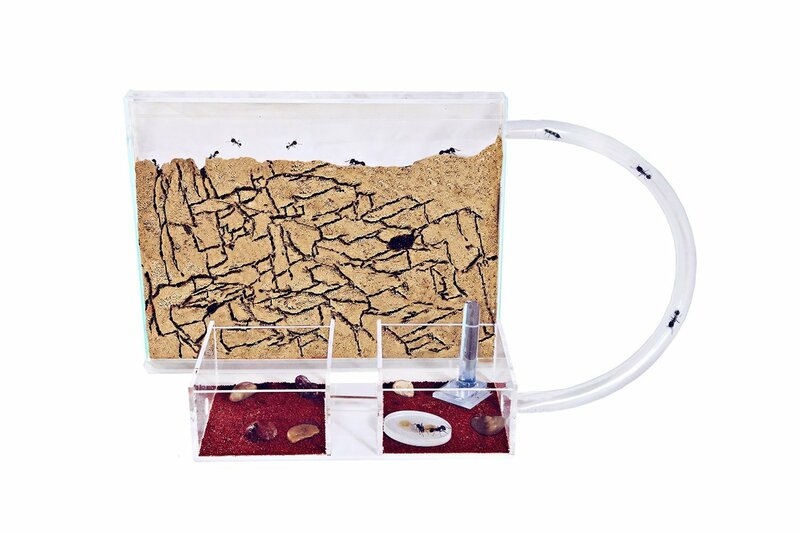 Medium Sand Ant Formicarium for raising an ant colony. Medium Sand Ant Farm including free queen ant colony. 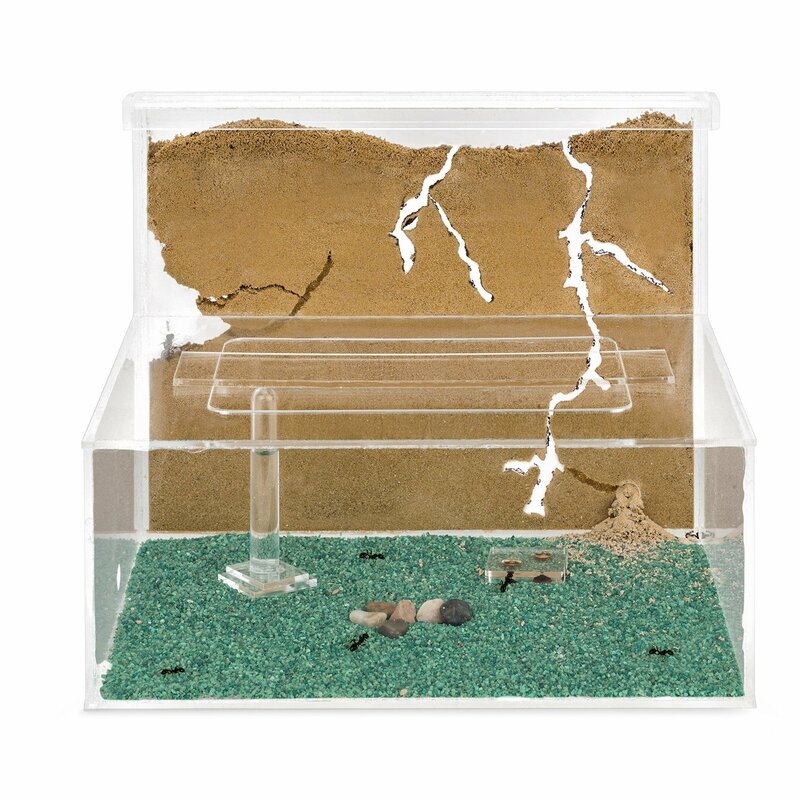 Built using an acrylic sheeting together to provide the perfecting nesting area for your ant colony. 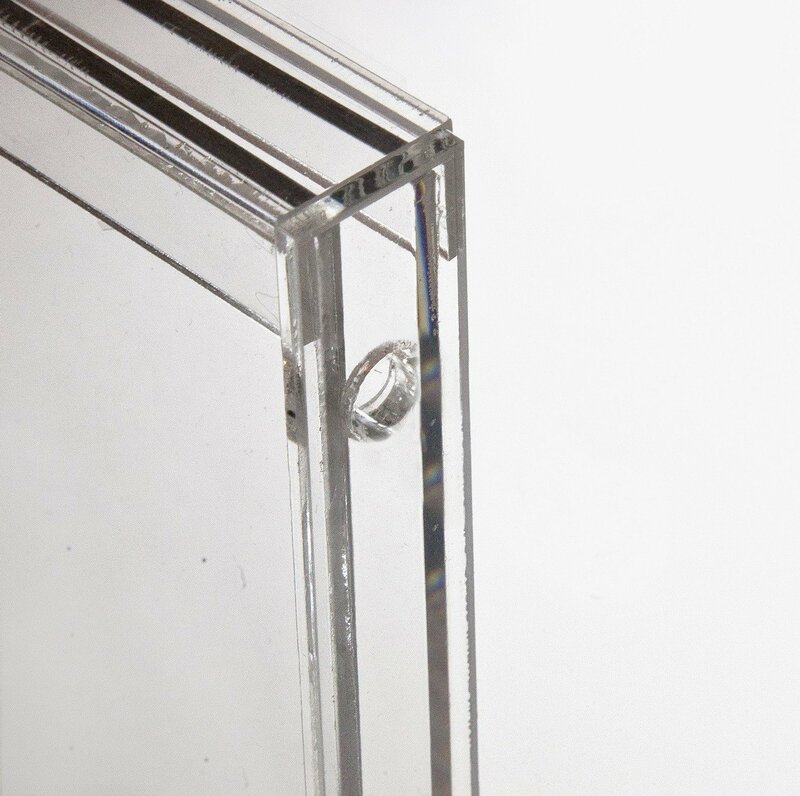 Including connection to foraging areas using clear tubing. 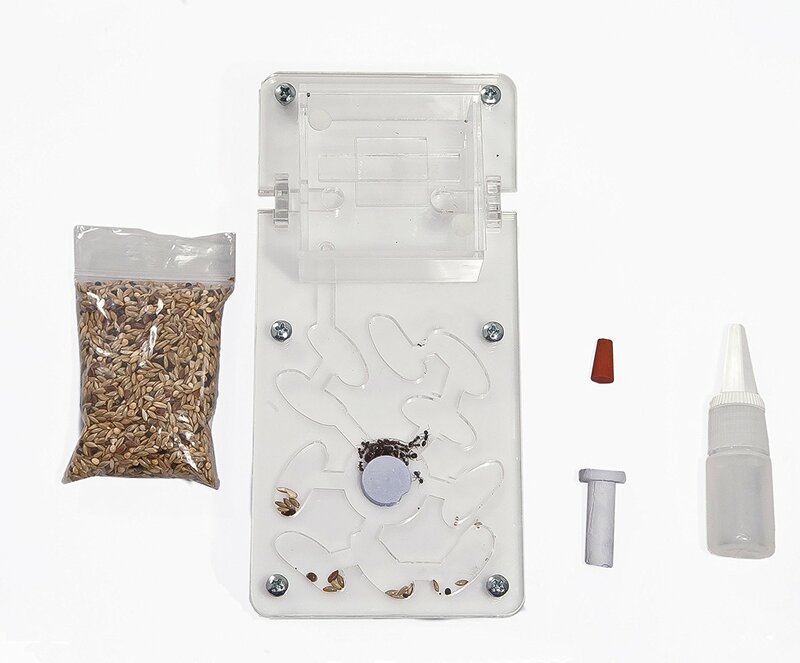 The foraging can be used for feeding your ants and for your ants to dump all their rubbish. 1x Medium Sand Ant Farm 25 x 20 x 1 cm. 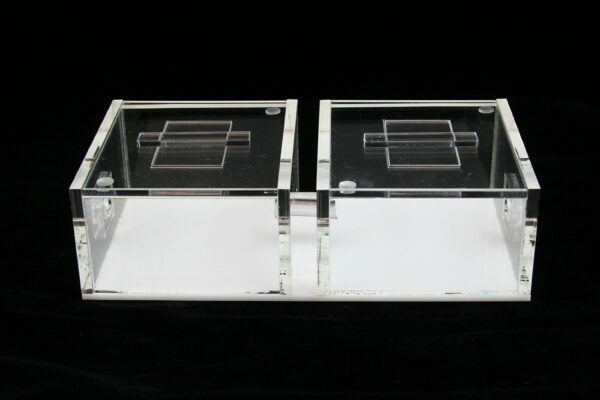 1x Foraging Area Box with Lid 20 x 12 x 12cm. 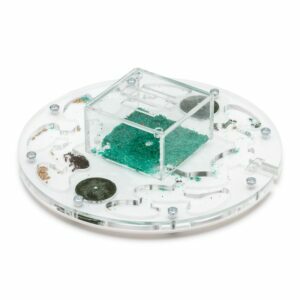 1 x Acrylic Lid to prevent ants from escaping. 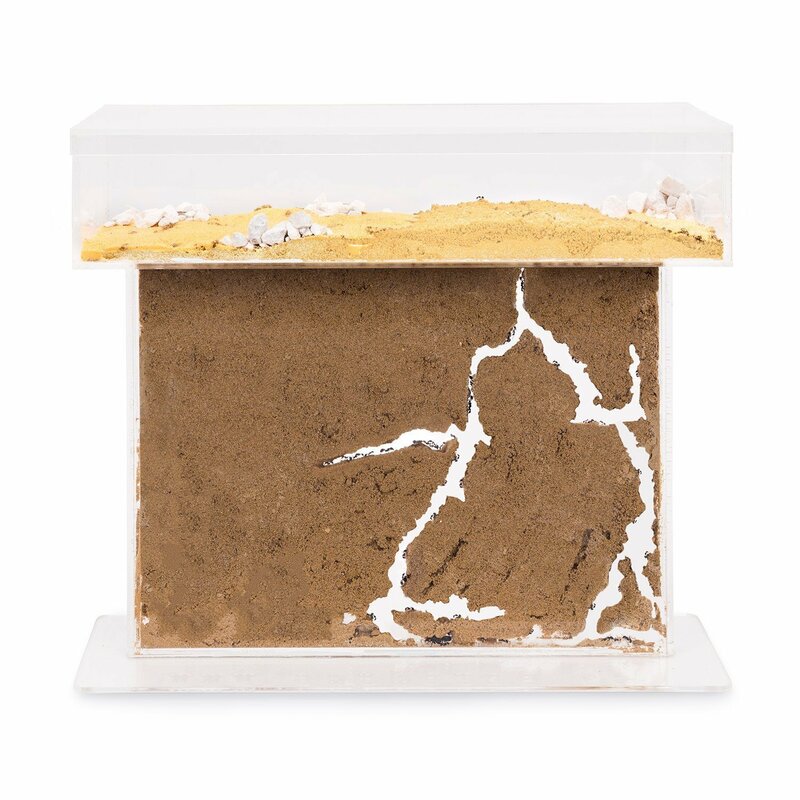 1x 500g Mixed Sand Clay Mixture For Ant Nest. 1x 50g Stone granules used for decorating the foraging box. 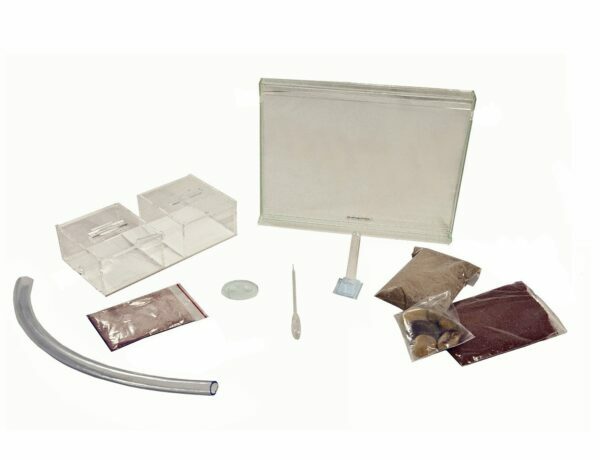 1x 10ml Protein syrup Used for food.